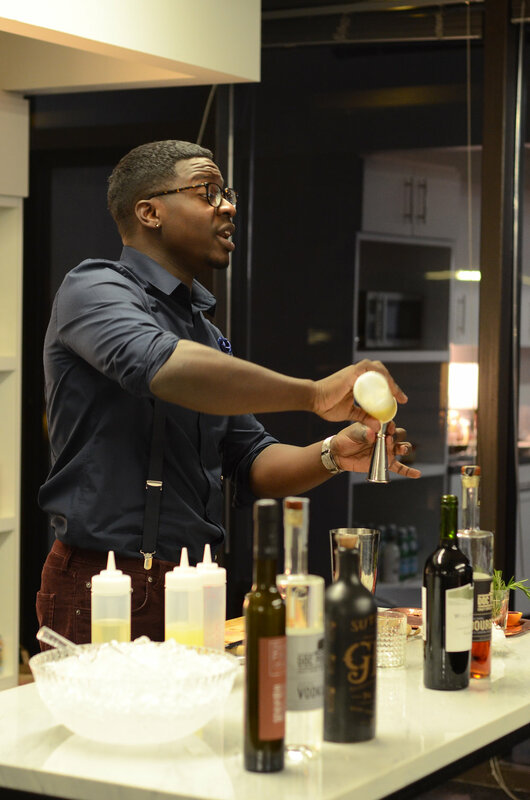 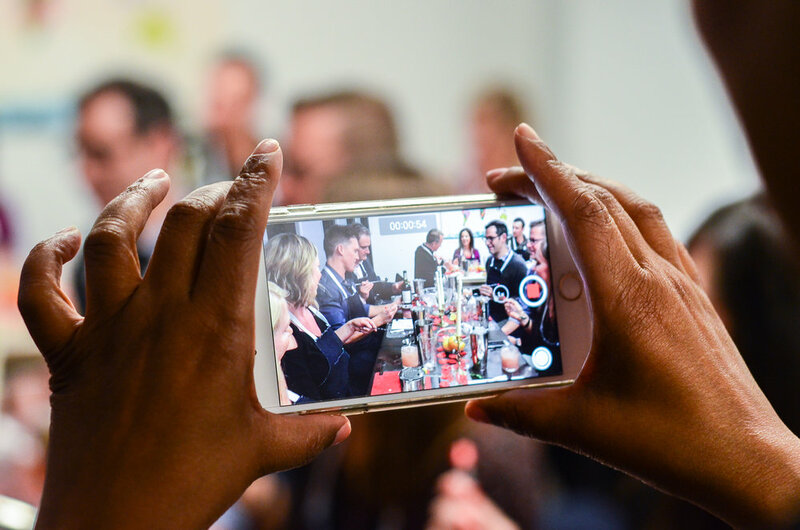 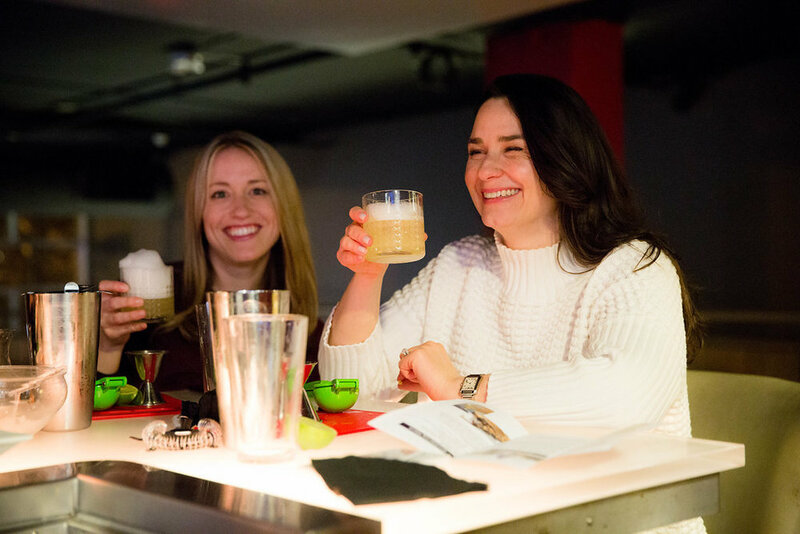 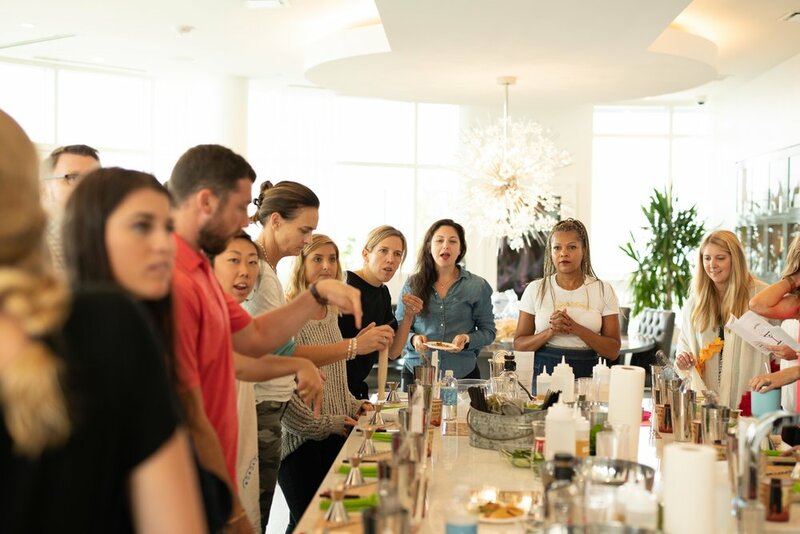 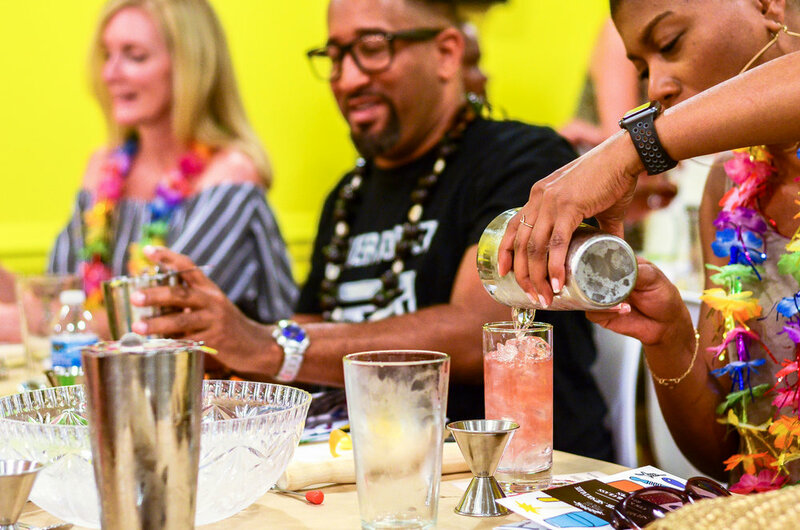 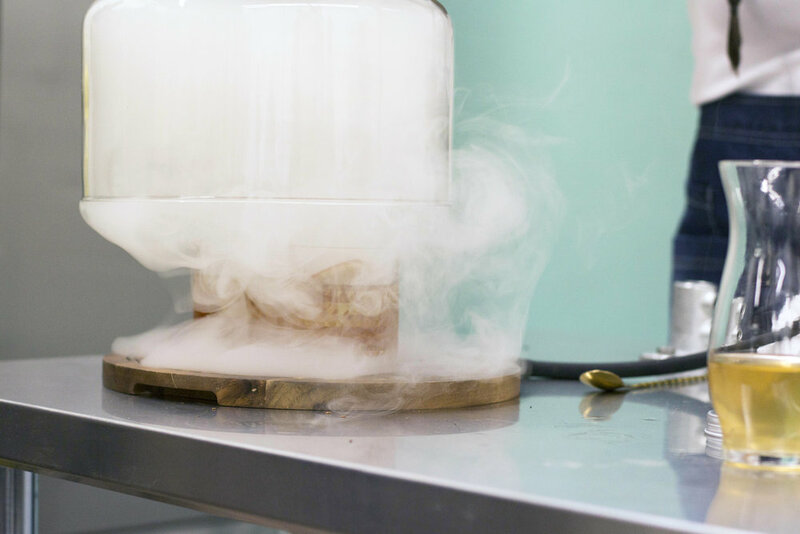 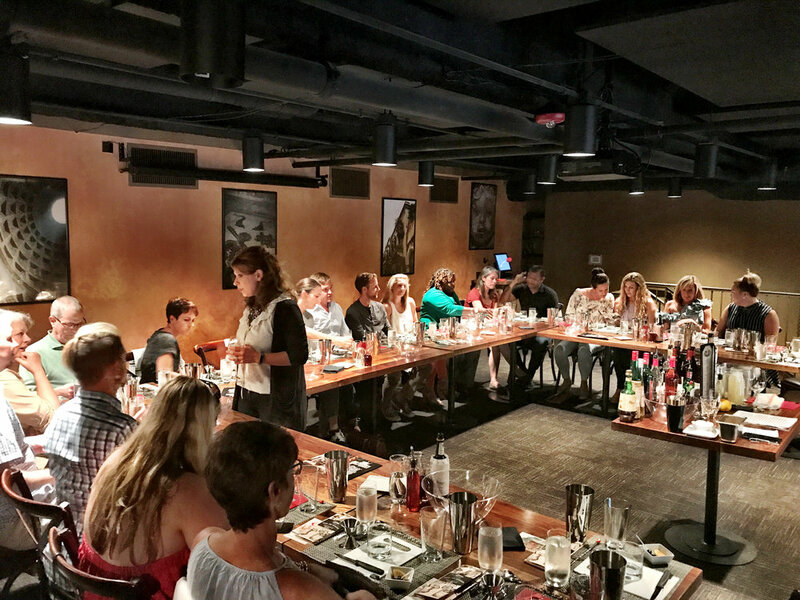 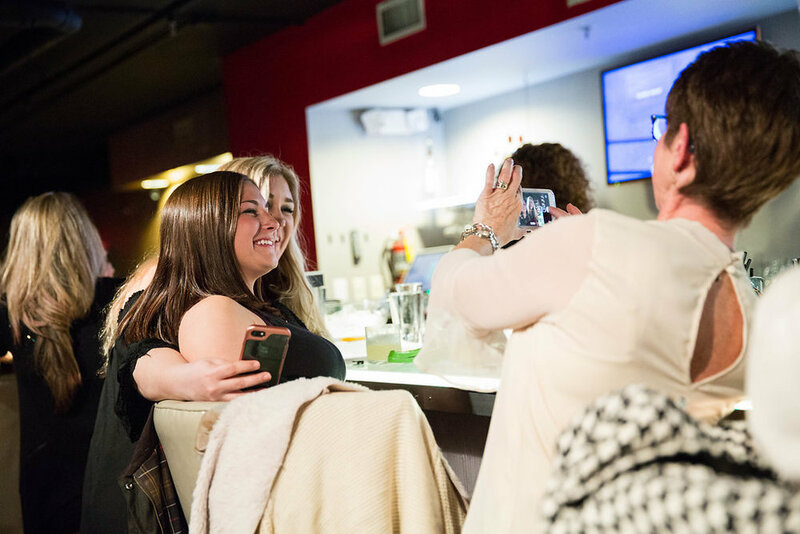 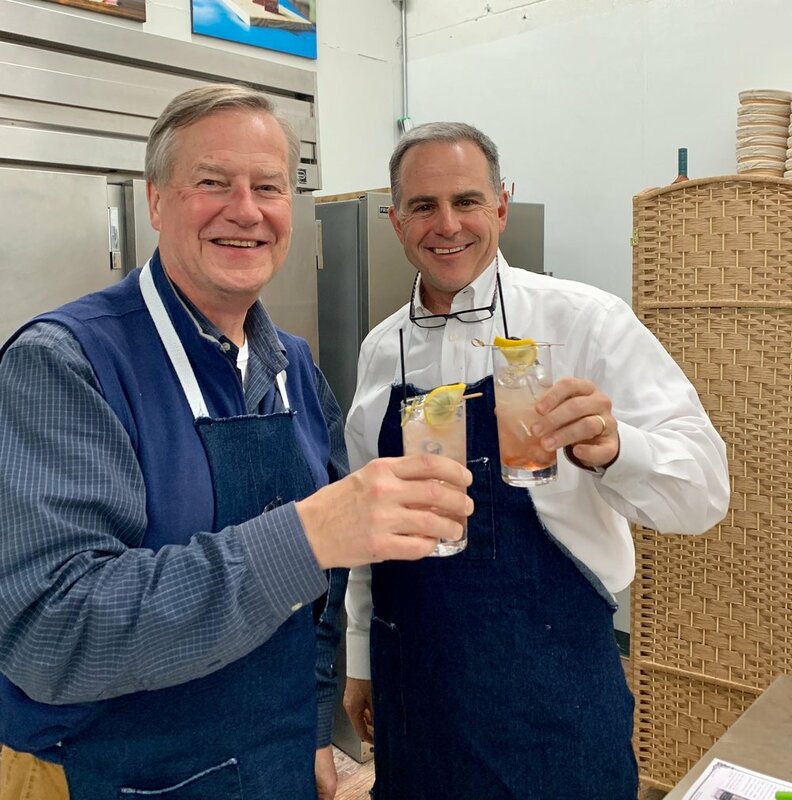 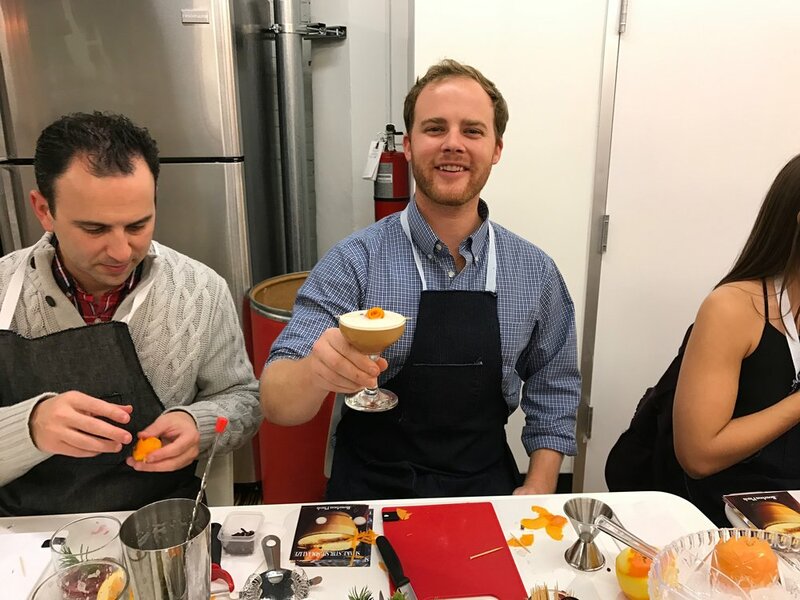 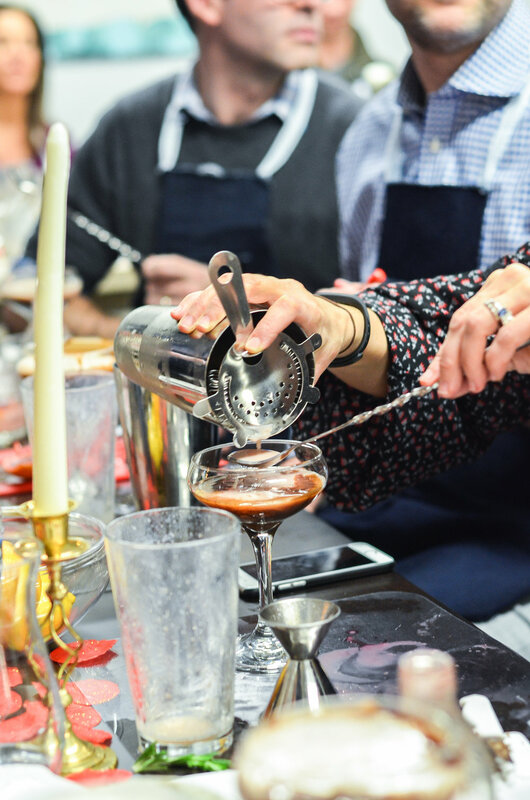 Our mixology classes are designed to educate and inspire with the history of alcohol, the origin of drinks, as well as demonstrate the proper techniques of crafting sophisticated cocktails. 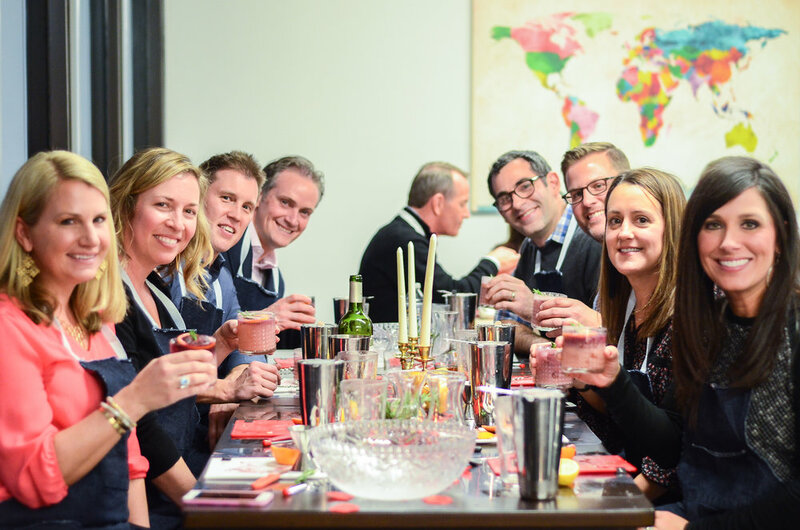 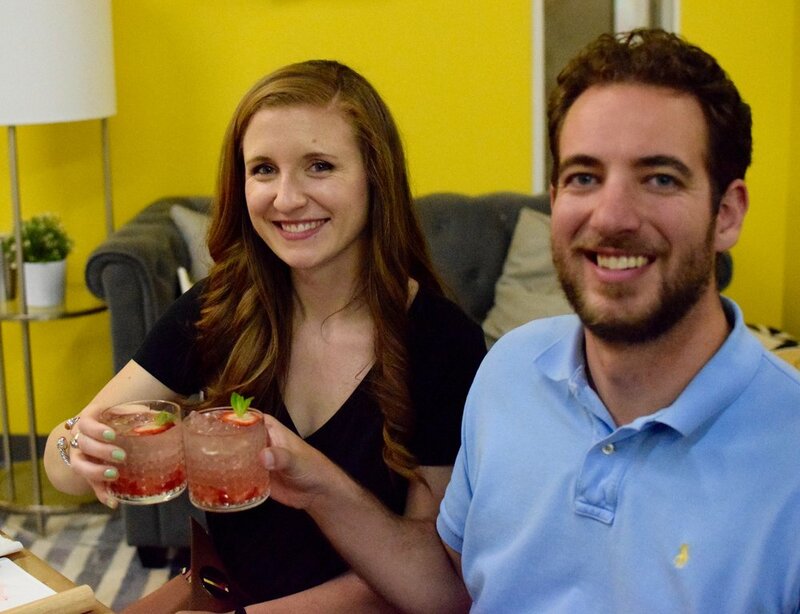 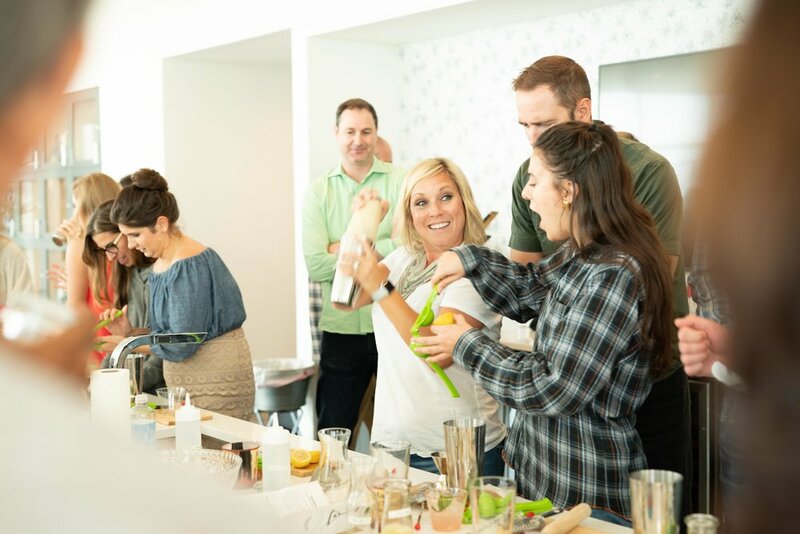 Our goal is to take the pretension out of mixology and craft cocktails and teach people how they can create and enjoy cocktails at home. 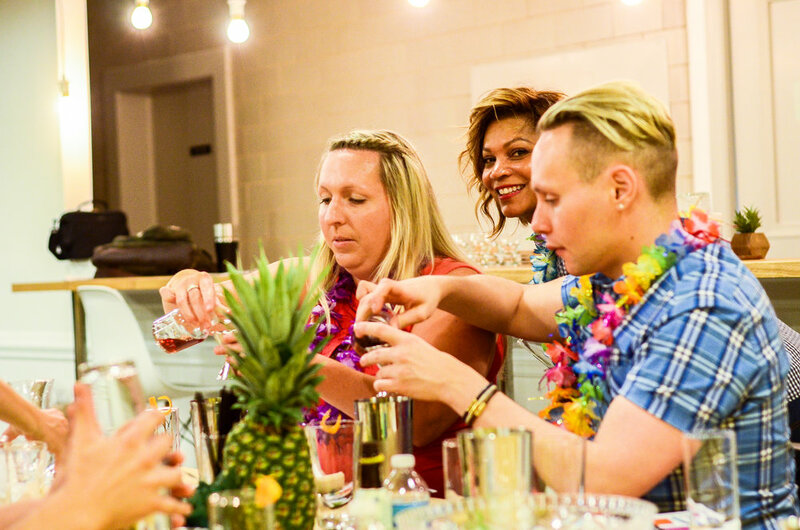 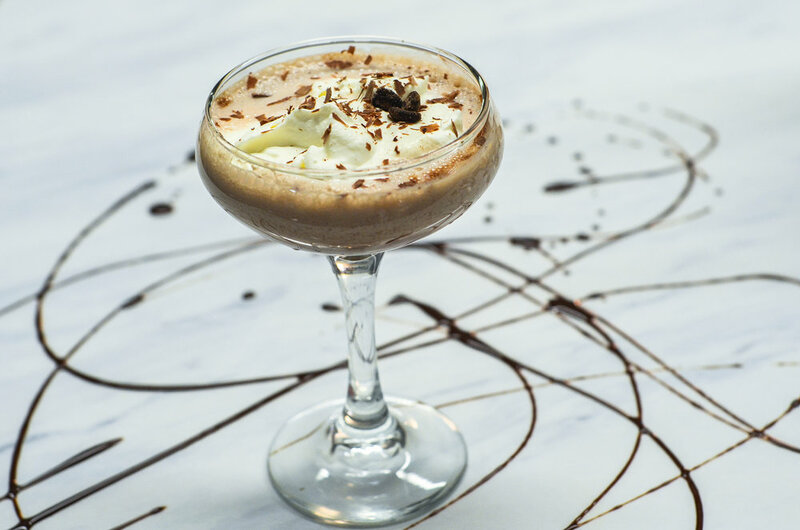 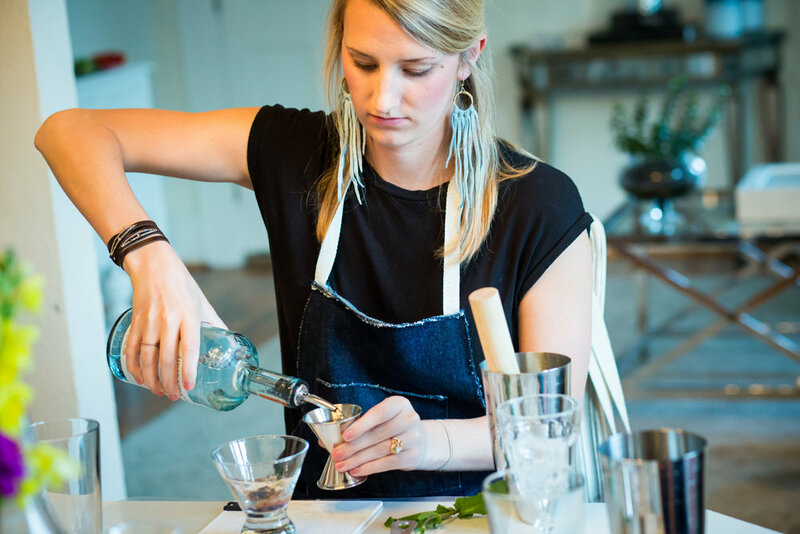 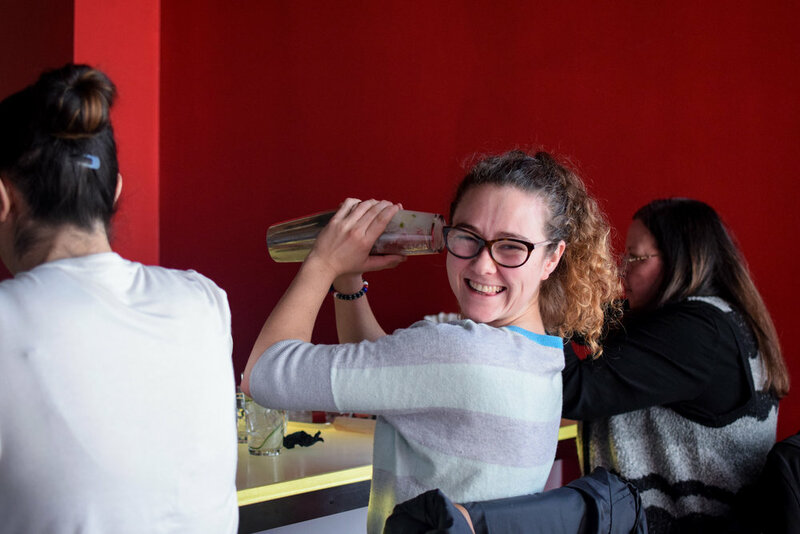 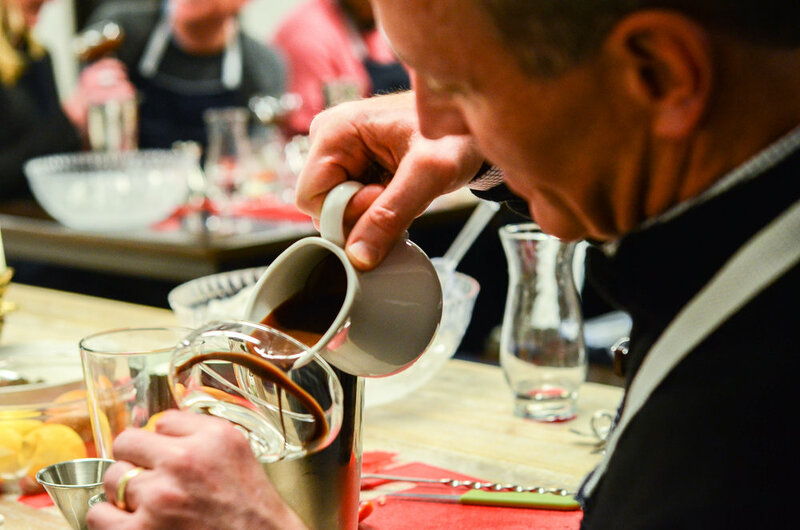 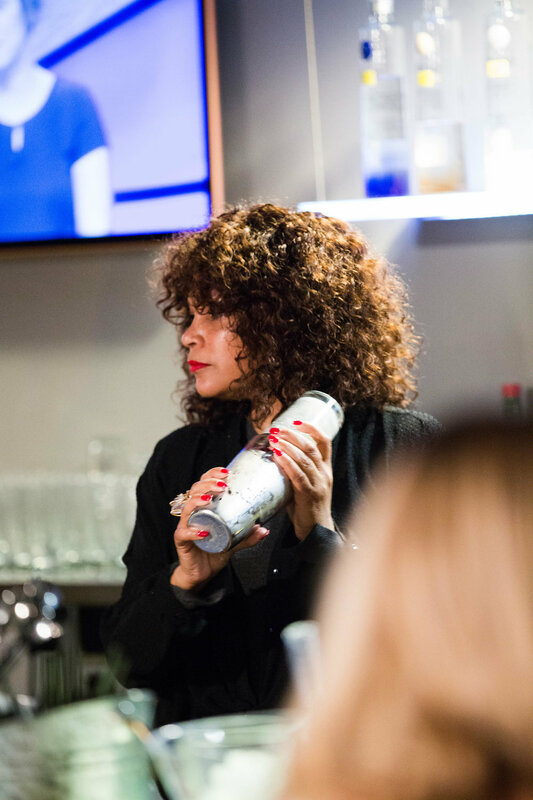 In our interactive and hands-on class you will learn to make 3 cocktails in a lively environment. 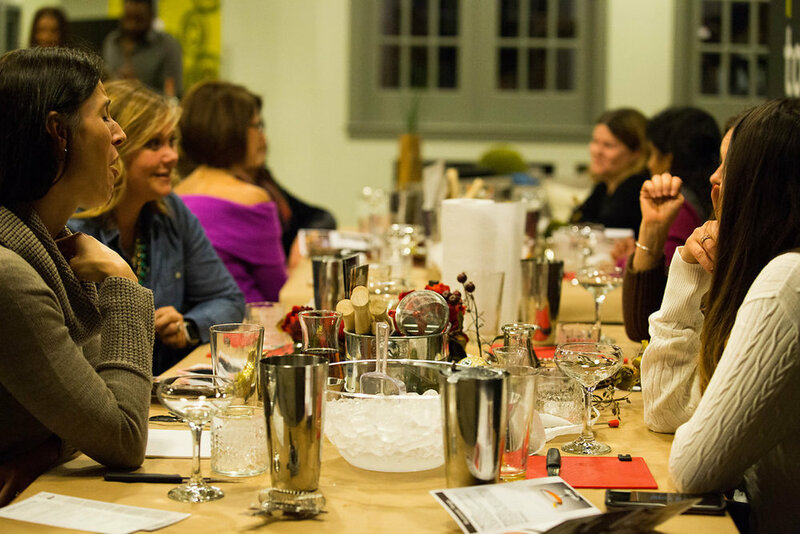 Throughout the evening mingle with new and old friends in between cocktail instruction. 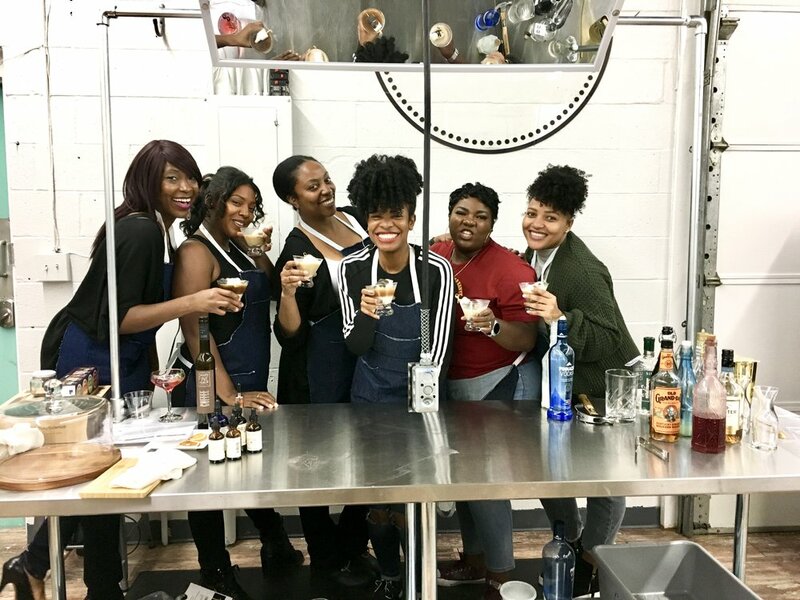 We provide all supplies necessary for the class: shakers, mixers, fresh herbs, spices, fruit, bitters and botanicals. 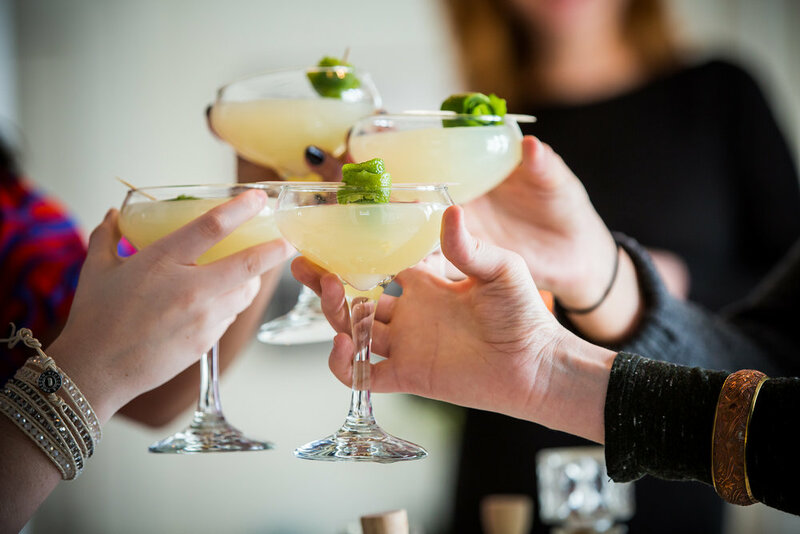 You come ready to have social and educational evening all about cocktails. 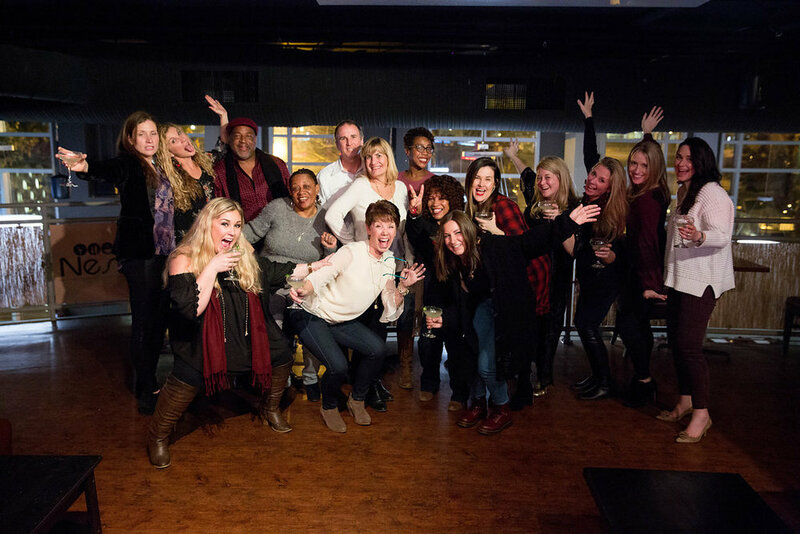 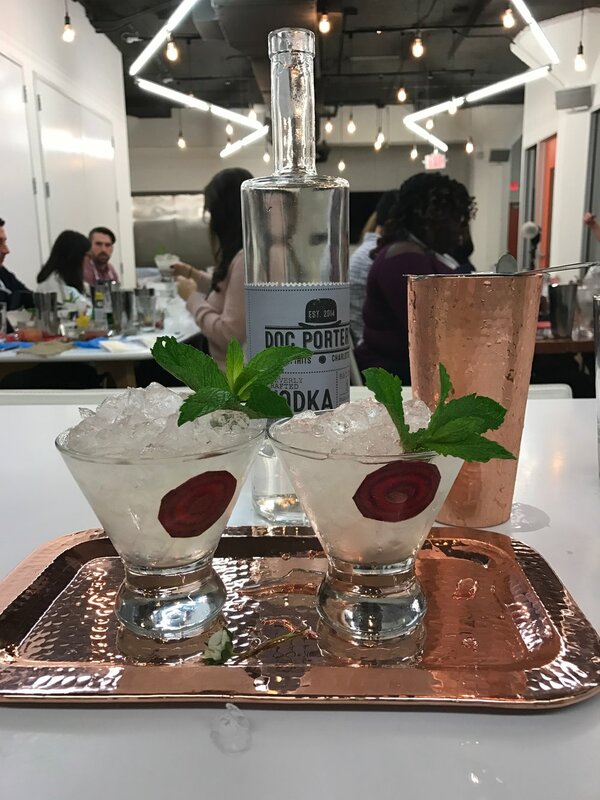 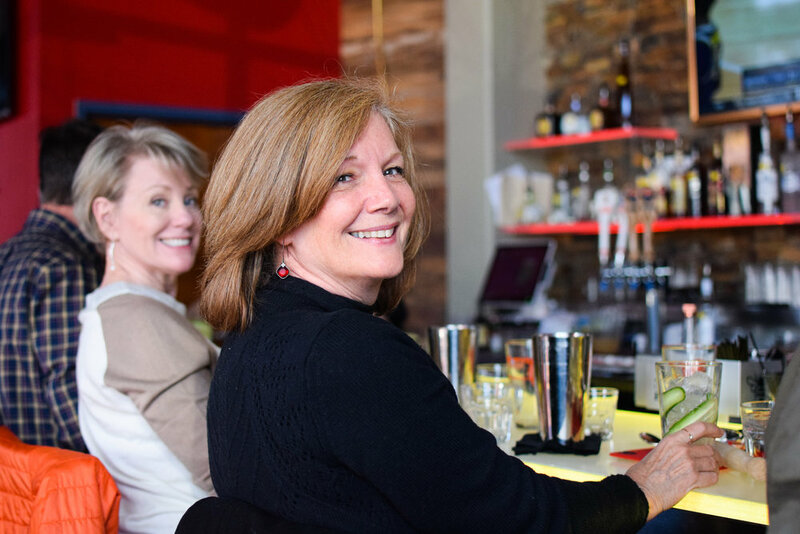 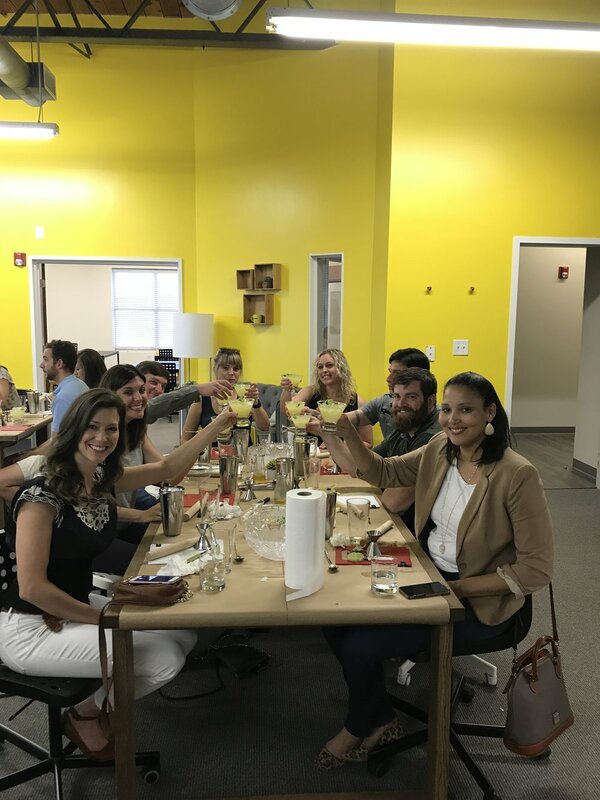 We host our cocktail classes at The Sweet Spot Studio a brand new culinary studio in the Oakhurst/Cotswold area of Charlotte. 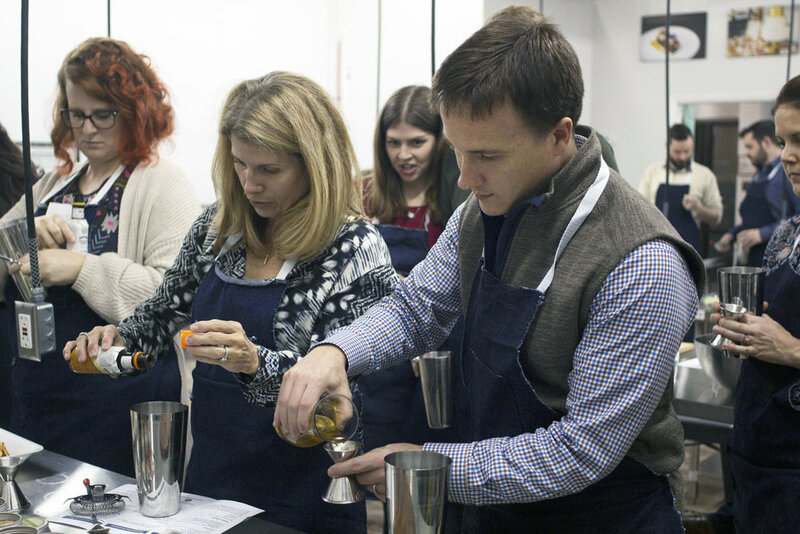 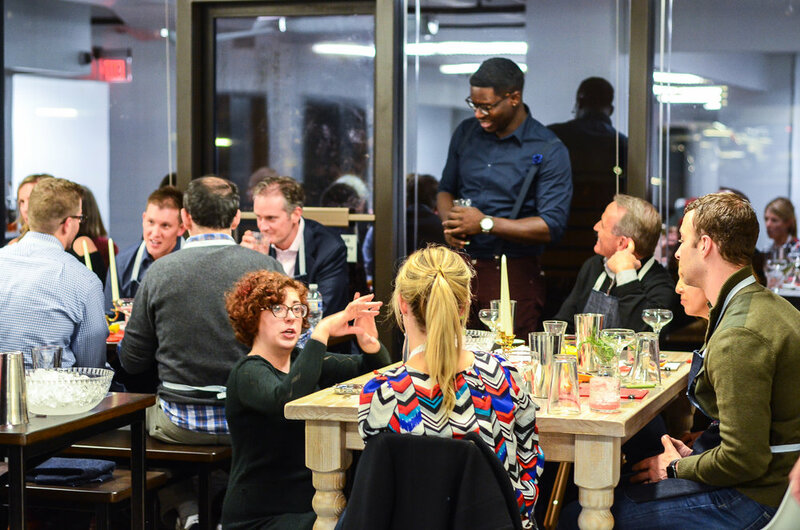 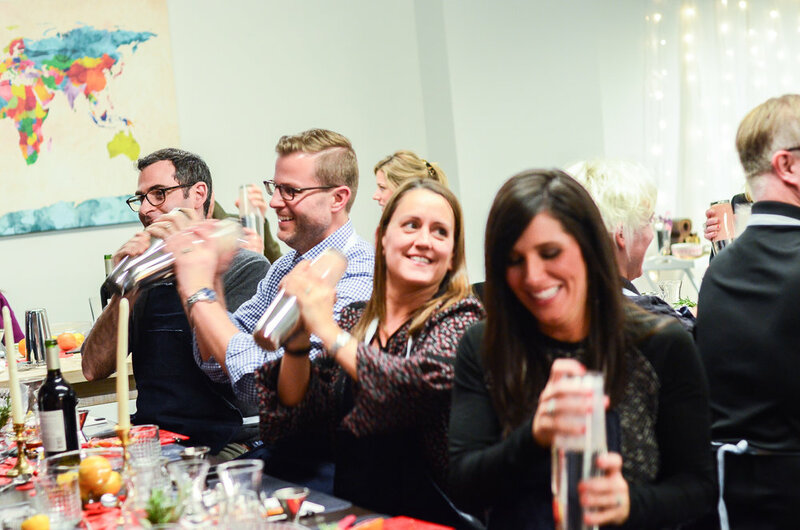 We also offer private mixology classes, The Sweet Spot Studio can accommodate 24 people per class. 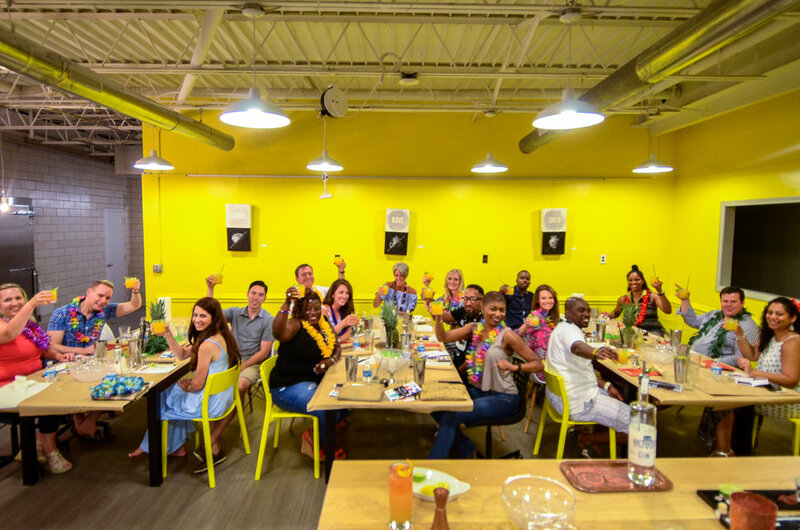 The studio is conviently located in the Oakhurst Commerce Center at 4412 Monrod Rd. 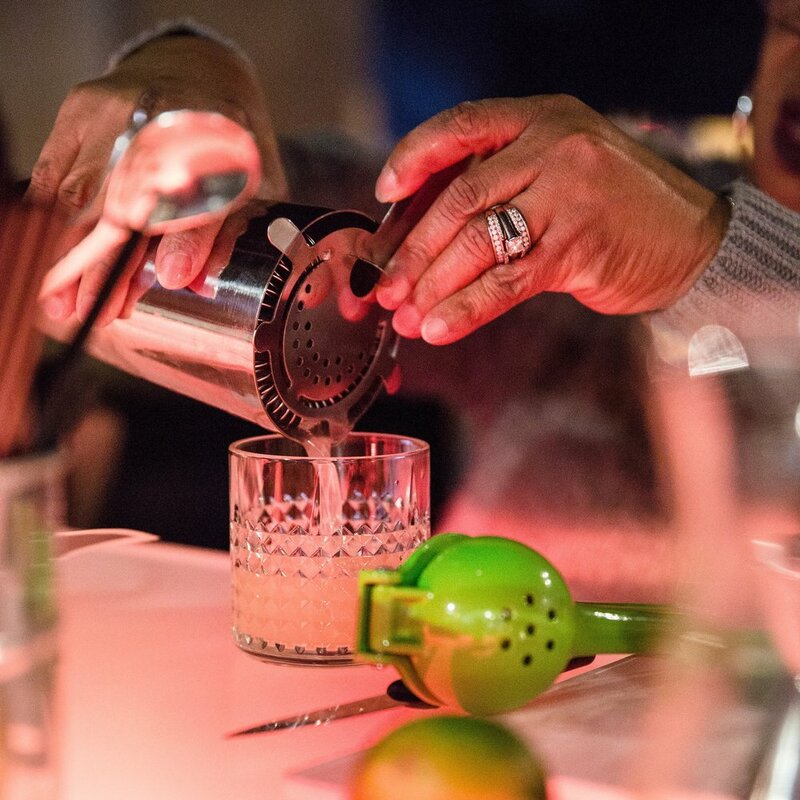 Born in Havana, the Mojito is one of the most famous rum-based highballs. 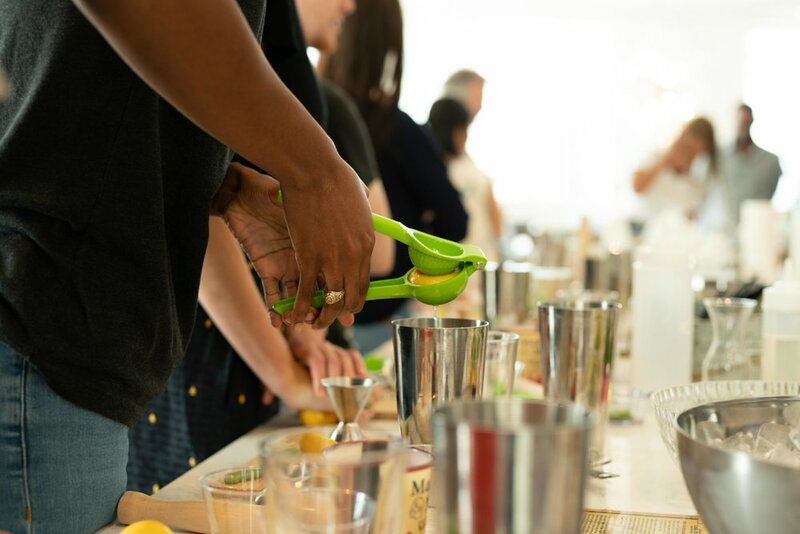 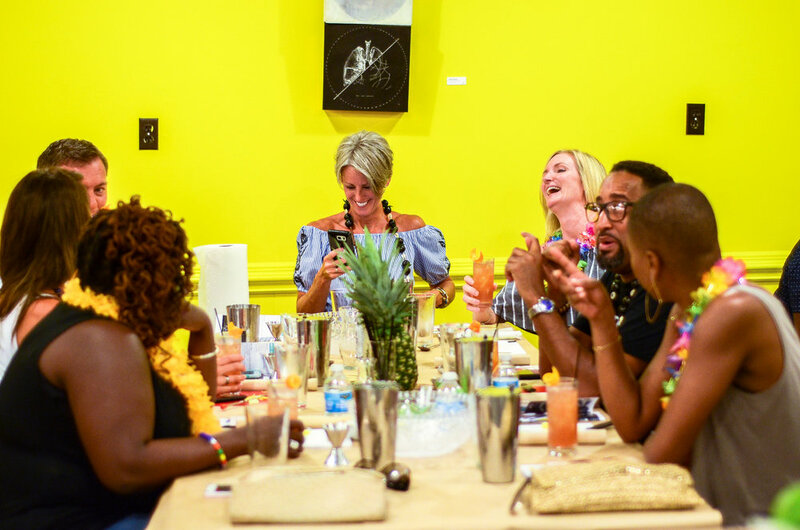 Explore the art and history of the Mojito and hand pour our own candle in this collaboration workshop. 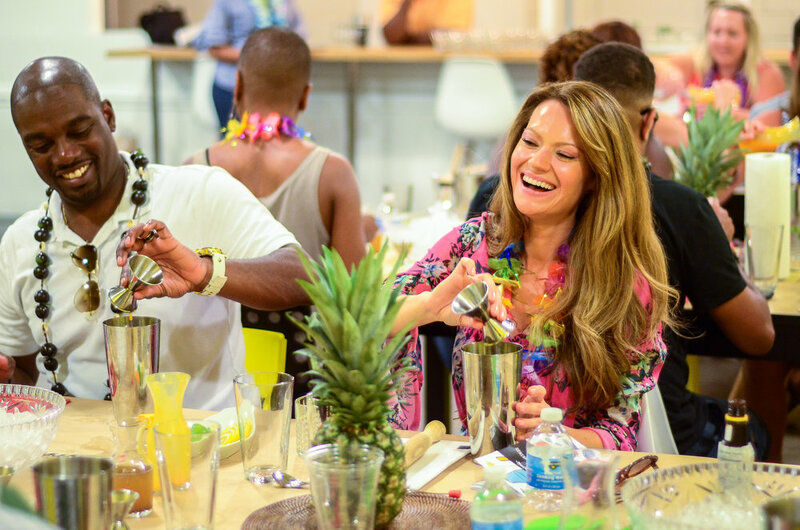 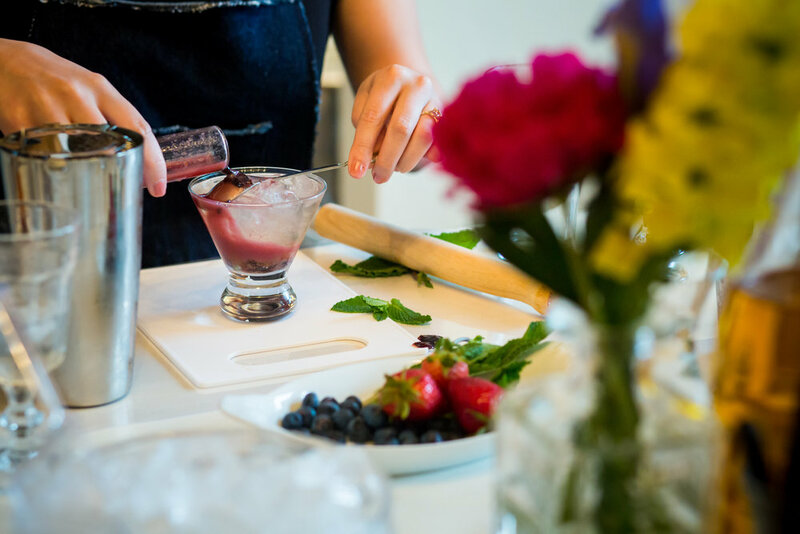 Liberate Your Palate and Sweet Spot Studio are teaming up to create some summer brunch favorites. 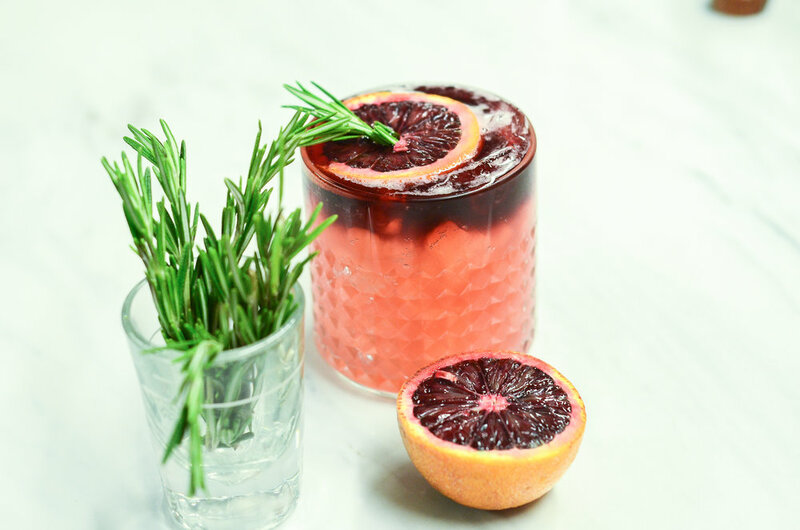 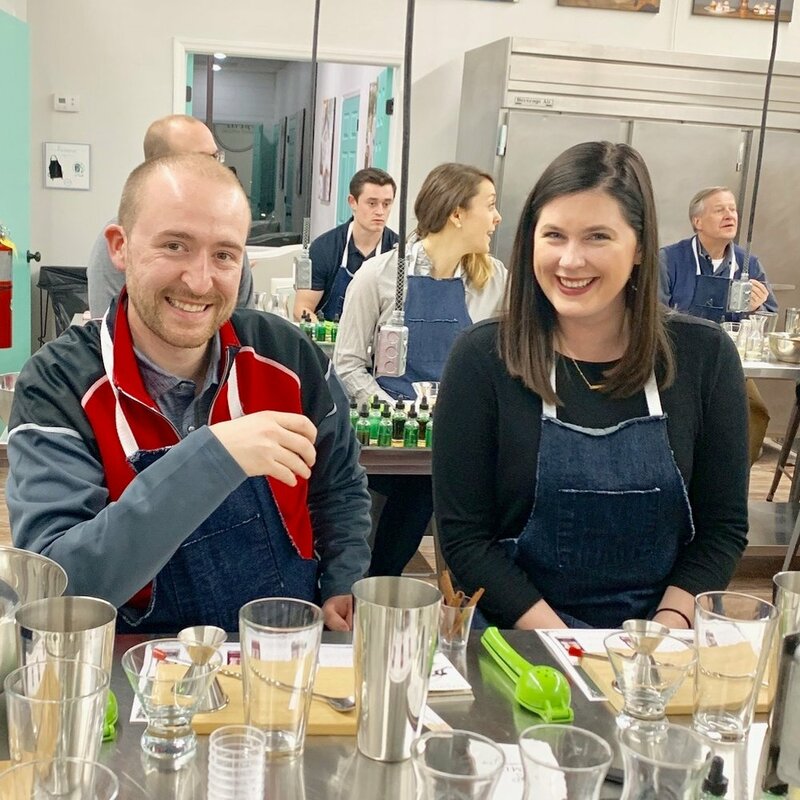 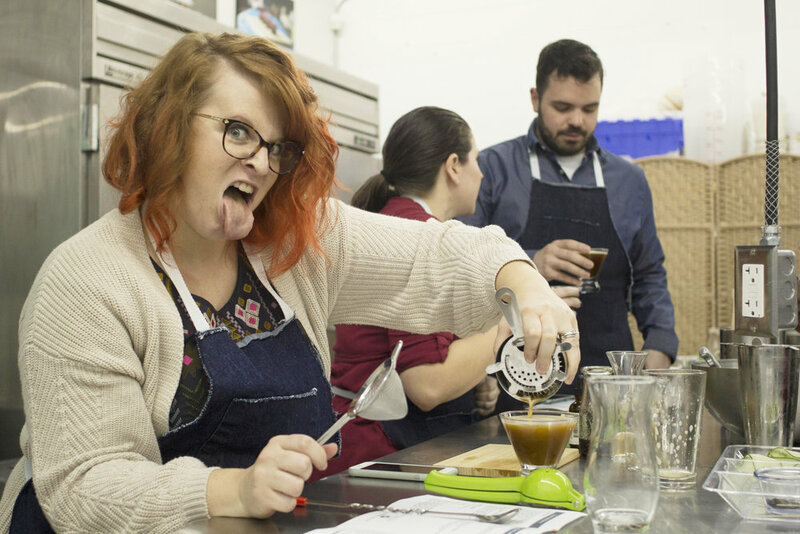 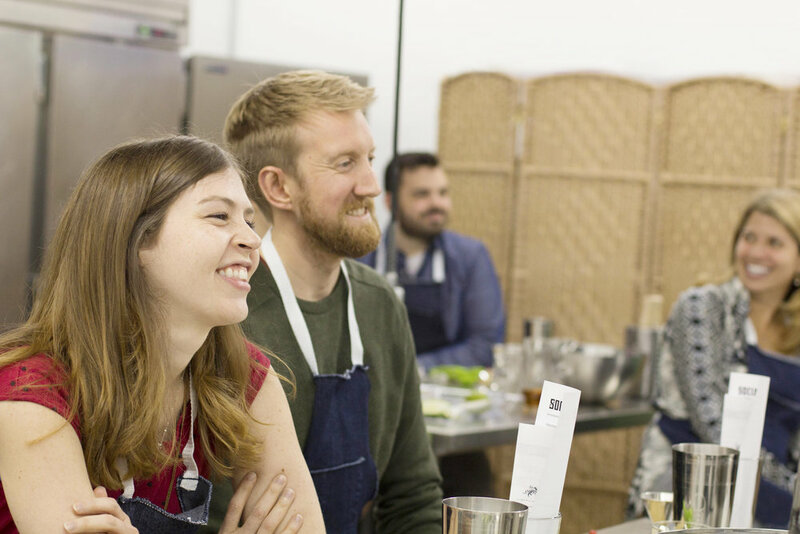 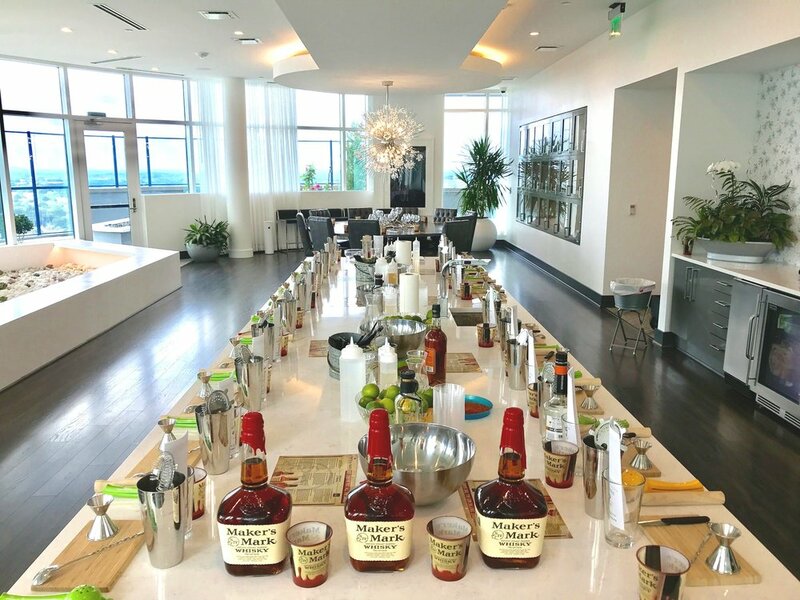 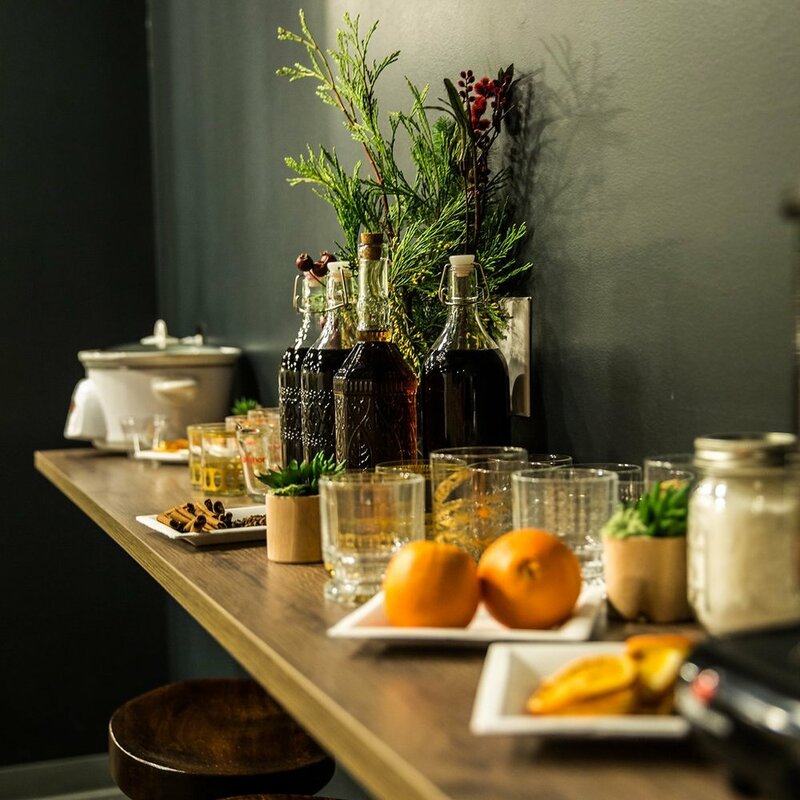 In this class we will be pairing and Heirloom Bloody Mary made from scratch, Morning Margarita, with buttermilk biscuits and a seasonal summer jam. 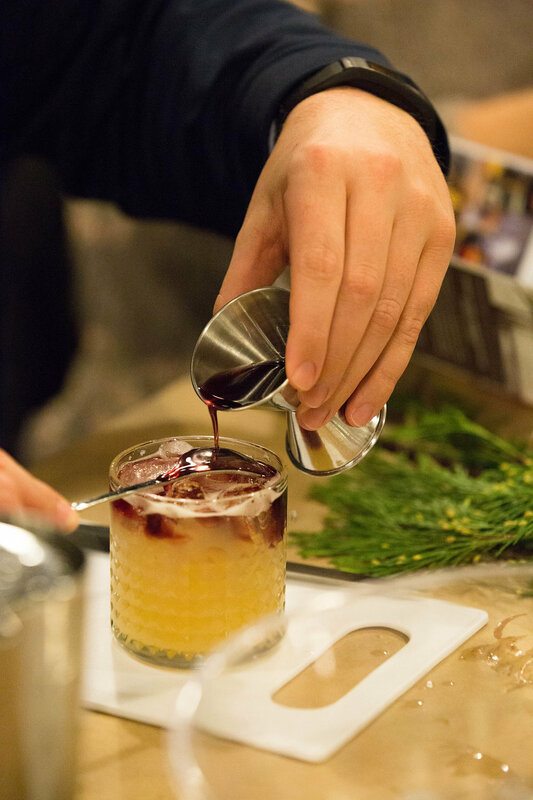 You will create 2 full sized cocktails and take home your finished biscuits at the end of class.